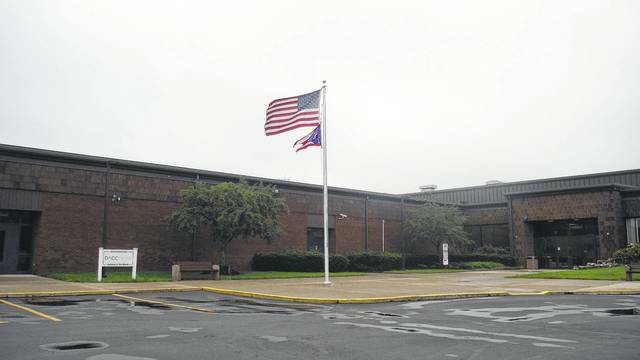 Delaware County Commissioners approved a contract to purchase the Delaware County Area Career Center’s north campus property. The purchase will allow the county to move several offices to the new property. Delaware County Commissioners approved a contract to purchase the Delaware Area Career Center North Campus for $1.7 million. Benton said many of the county services are “in scattered buildings all around.” He said he could see many advantages of departments and offices being housed in a single building. Commissioner Gary Merrell said about 18 months ago the board asked Facilities Director Jon Melvin to research the property as a possibility for the county. Merrell said the building is solid, but will require renovation work. In 2016, the DACC Board of Education approved a plan to consolidate all of its programs on one campus. The DACC plans to expand the south campus by adding a new wing and other spaces to support all the north campus programs. Officials said at the time that the consolidated campus will give all students access to more support services and reduce bus costs. Construction began on the $45 million project last year. DACC Superintendent Mary Beth Freeman said she saw the county’s purchase of the property as a win-win, much like Benton. This entry was tagged Benton, DACC, delaware county. Bookmark the permalink.